Only $99 deposit! 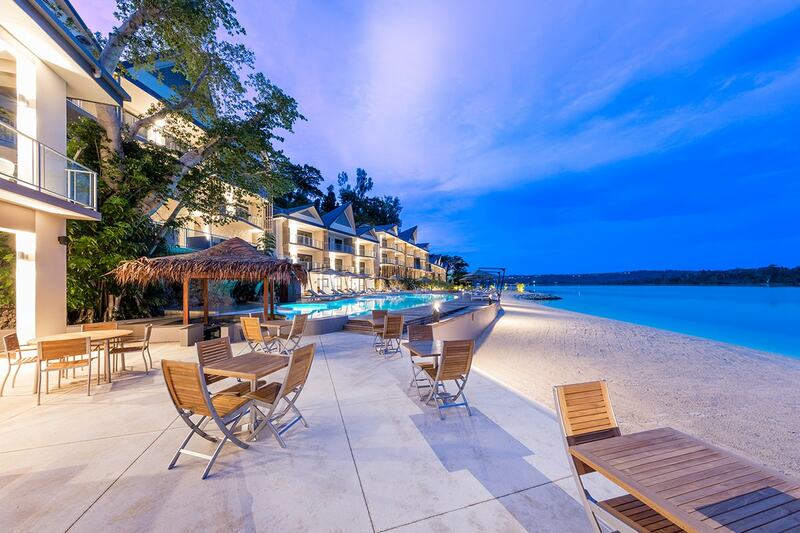 5 nights at the brand new 4-star Ramada Resort Port Vila for 2 with DAILY buffet breakfast and DAILY Cocktail, airport transfers & more! 2 people |	Typically $2,592! Thanks for making my holiday one that I will remember for a long time. Pay a deposit of just $99 plus any applicable surcharges are due at the time of purchase in order to secure your date! 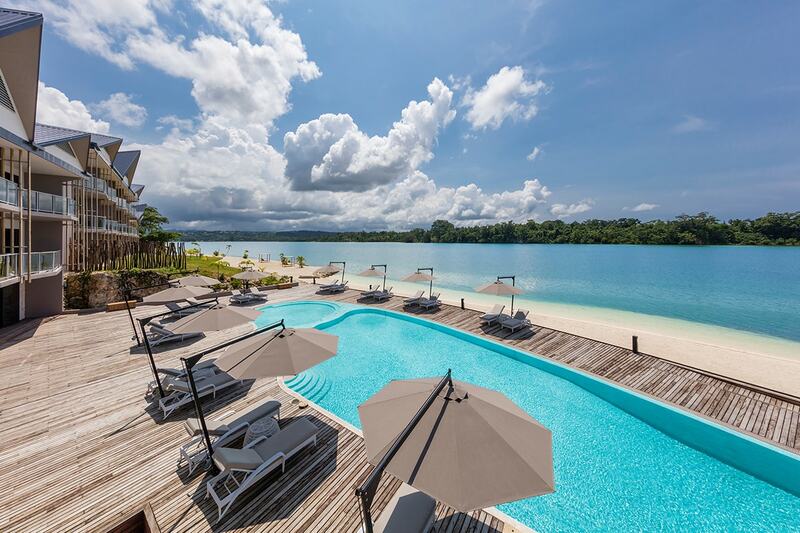 Indulge in the holiday of a lifetime with a stay at the brand new 4-star Ramada Port Vila Vanuatu! 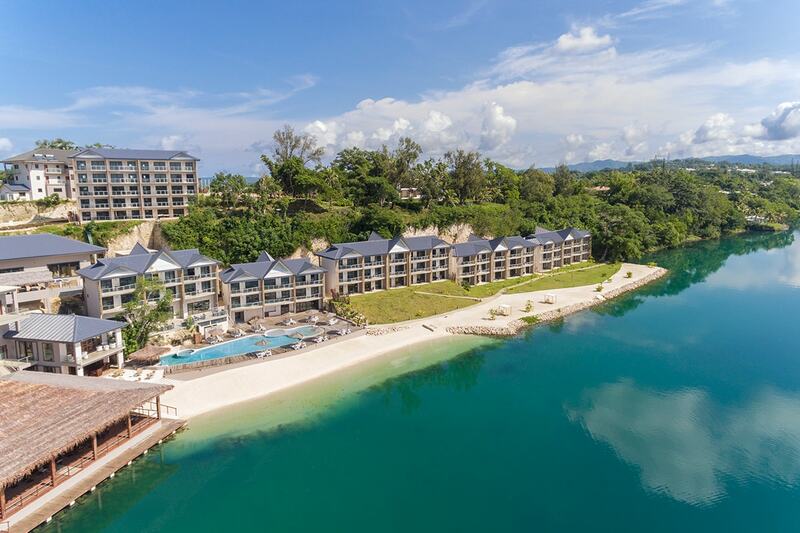 Set on the cliffs of breath-taking Erakor Lagoon, this beachfront hideaway offers a luxurious experience in the heart of Port Vila. Erakor Lagoon is considered a stunning destination for snorkelling. 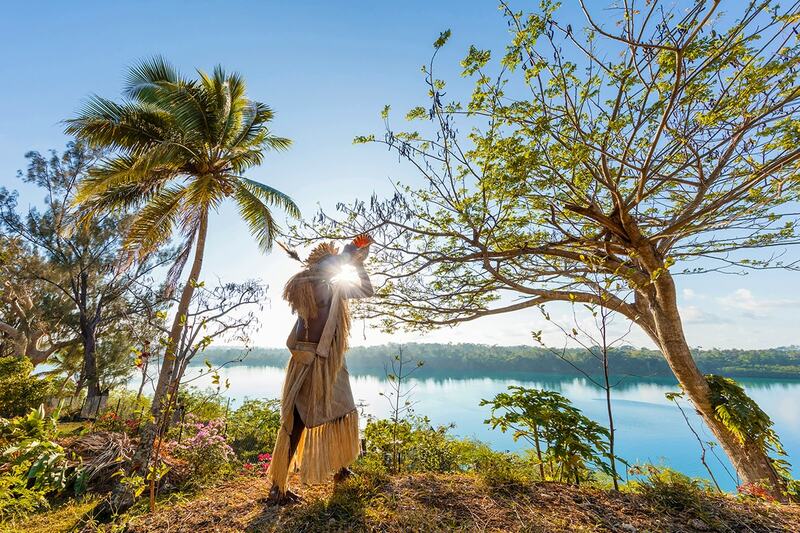 Port Vila is a lively and beautiful town that offers endless experiences for both young and young at heart. 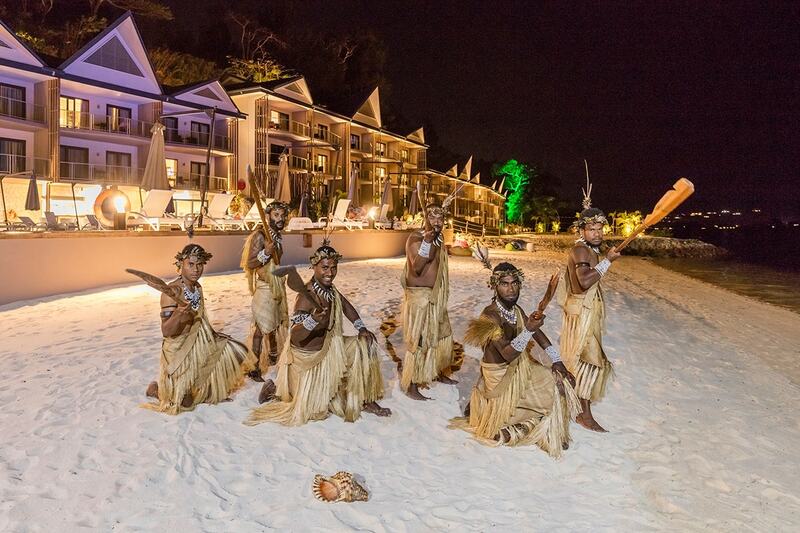 With glistening lagoons, buzzing markets and great entertainment on offer, you’ll never be short for something to do. 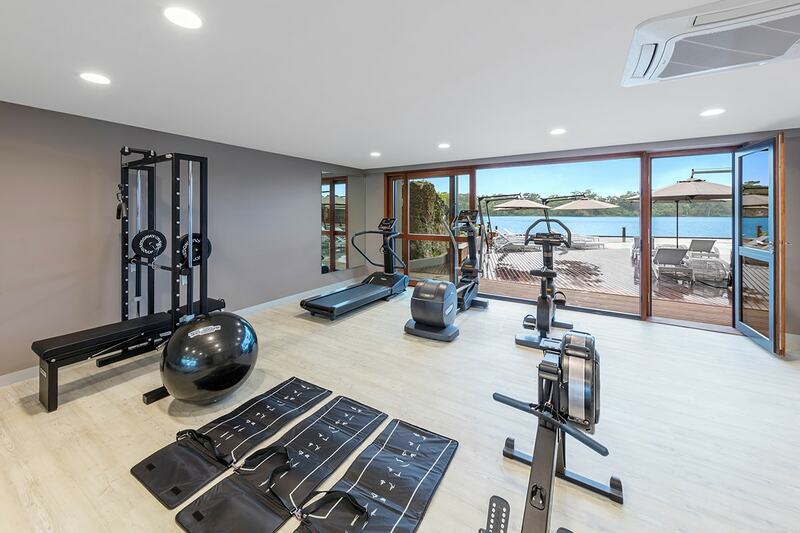 This newly opened resort boasts all the modern facilities and services you could need including sparkling swimming pool, over-water restaurant, relaxing pool bar, state-of-the-art fitness centre, Wi-Fi and professional, attentive staff. 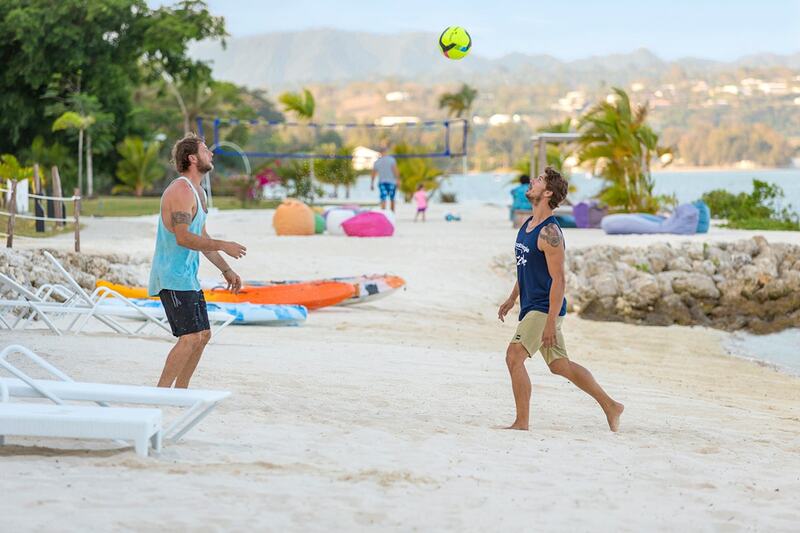 Choose from an abundance of activities and watersports on offer during your stay, or spend your days lounging by the pool – it’s up to you! 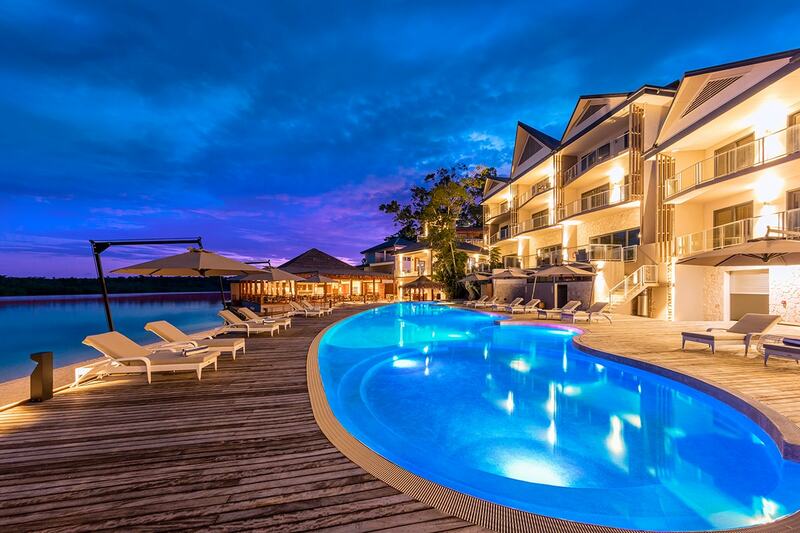 Suitable for both couples and families alike, Ramada Port Vila will go beyond your expectations. Your package includes full buffet breakfast daily, return airport transfers, daily cocktails, bonus lunch and dinner and more. Upgrade to a family package! 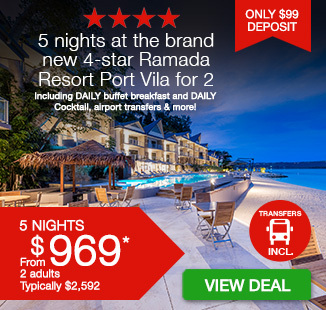 Brand new 4-star Ramada Resort Port Vila Opening Offer! 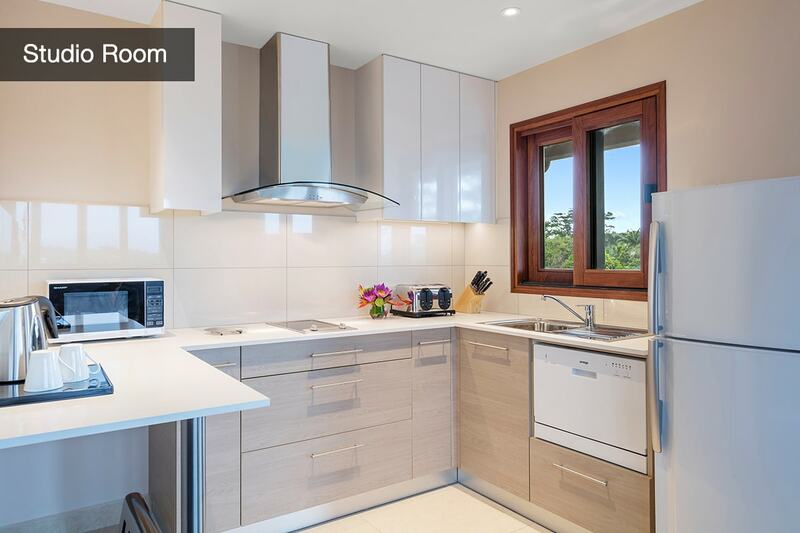 Accommodation in a brand new modern and spacious Studio Room featuring a kitchenette and balcony overlooking lush tropical gardens. Delicious daily full buffet breakfast for 2 people. Return airport transfers for 2 people. Enjoy a daily cocktail for 2 adults at the Sports bar, Lounge bar or the swim-up Pool bar. 1 x one-course lunch for 2 adults at Akiriki Restaurant located over the waters edge offering spectacular views over Erakor Lagoon. 1 x three-course dinner for 2 adults at Akiriki Restaurant offering an Oceanian blend of flavours influenced from Melanesia and Polynesia. Complimentary use of kayaks and snorkelling equipment – Erakor Lagoon is considered a stunning destination for snorkelling. Travel available through until 31 March 2018! UPGRADE to a FAMILY PACKAGE! 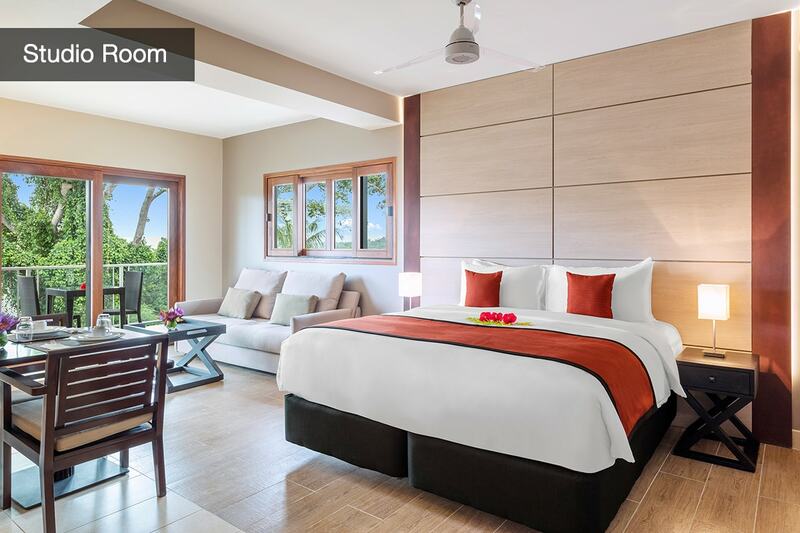 Accommodation in 2 x spacious interconnecting Junior Suites for 2 adults and up to 4 children featuring a fully equipped kitchen, lounge area and a large balcony with panoramic views overlooking Erakor Lagoon. Full buffet breakfast daily for 2 adults and up to 4 children. Return airport transfers for 2 adults and up to 4 children. 1 x one-course lunch for 2 adults and up to 4 children at Akiriki Restaurant located over the waters edge offering spectacular views over Erakor Lagoon. 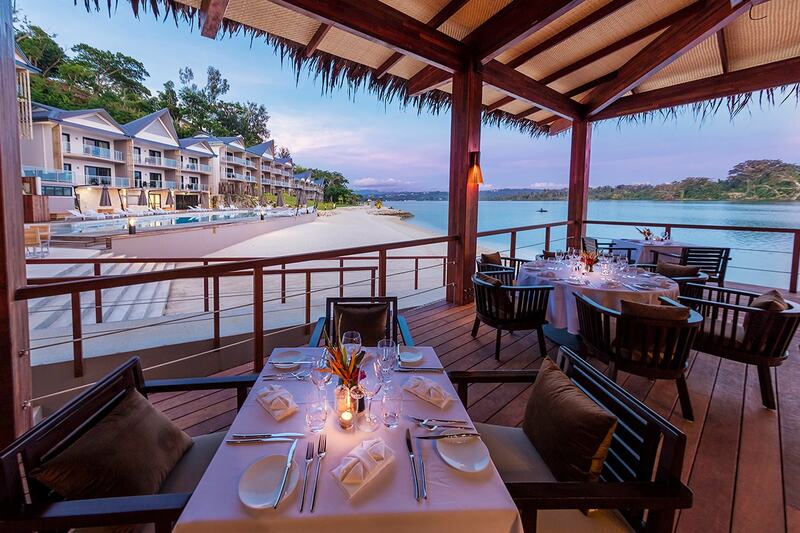 1 x three-course dinner for 2 adults and up to 4 children at Akiriki Restaurant offering a blend of Oceania flavours influenced from Melanesia and Polynesia. 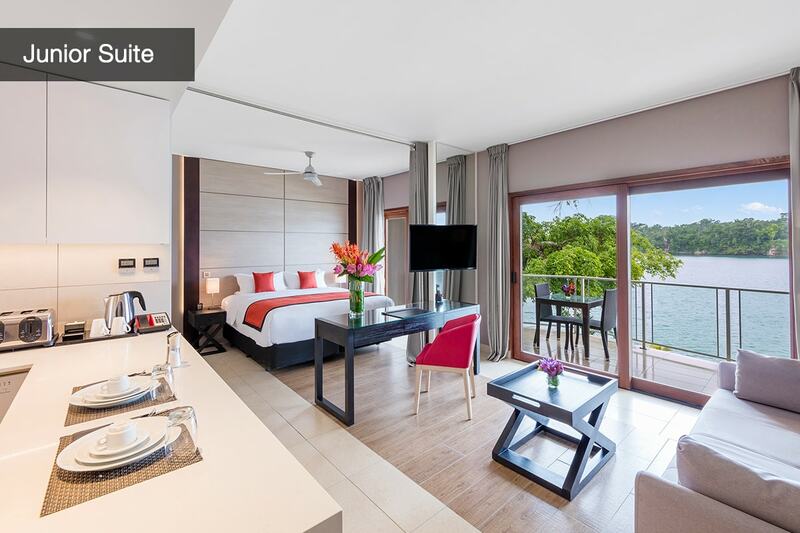 Your Ramada Resort Port Vila getaway is subject to availability at the time of your booking. We advise you to book early to avoid disappointment. 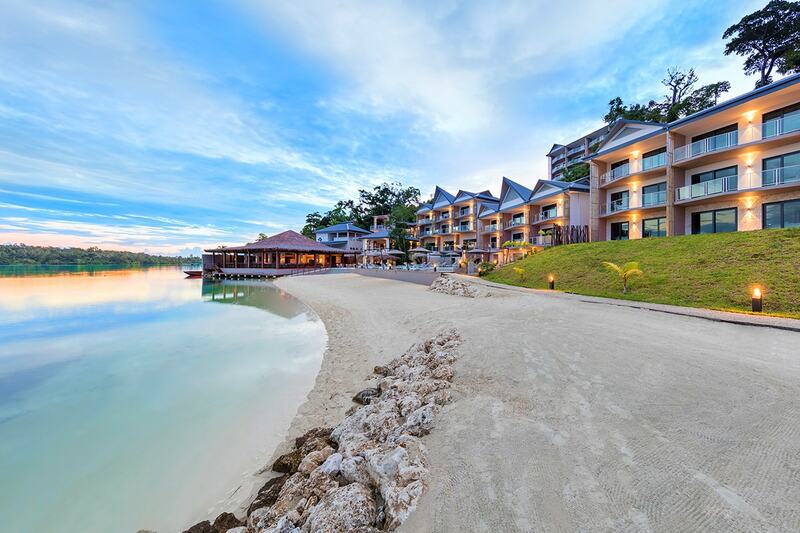 Eco fee: Ramada Resort Port Vila belongs to the Wyndham green program: VT 100 (approx AUD$1.50) per room per night will be invoiced direct to your room account at checkout. 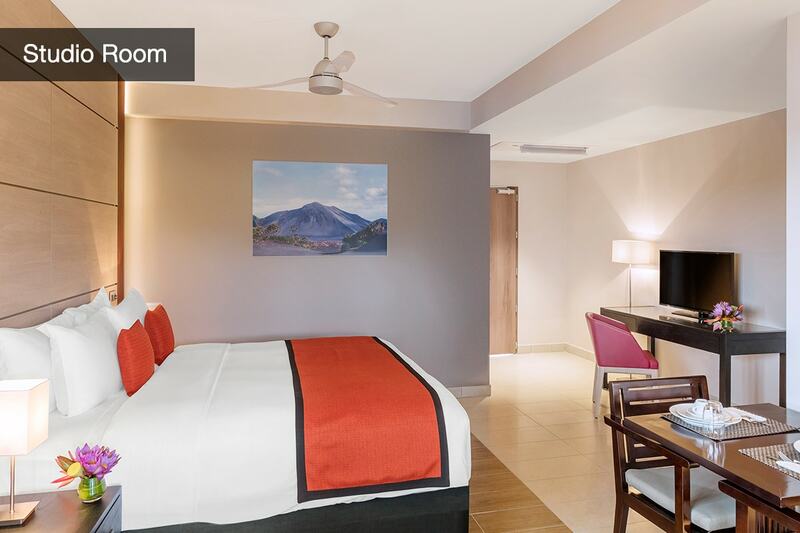 Studio Room: Modern, spacious self-contained rooms with a balcony overlooking tropical gardens. 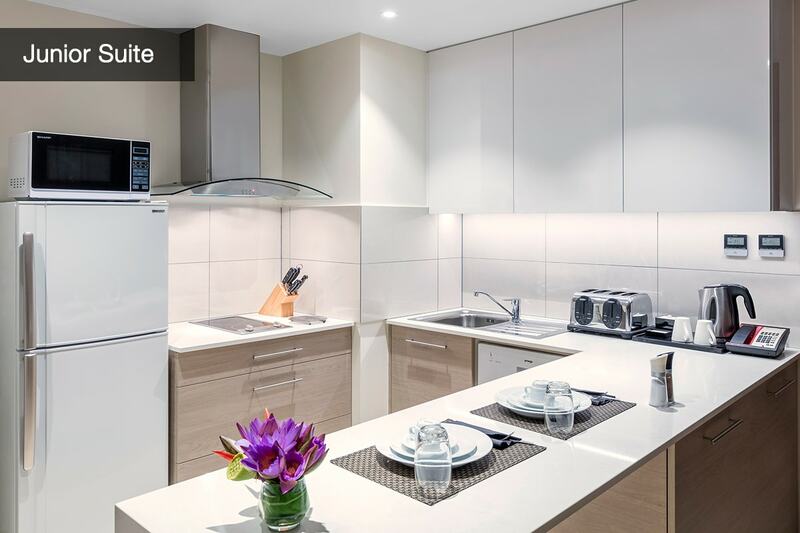 Studios are outfitted with the latest Wi-Fi technology, air conditioning and a kitchenette. A comfortable home away from home for a short or long stay. 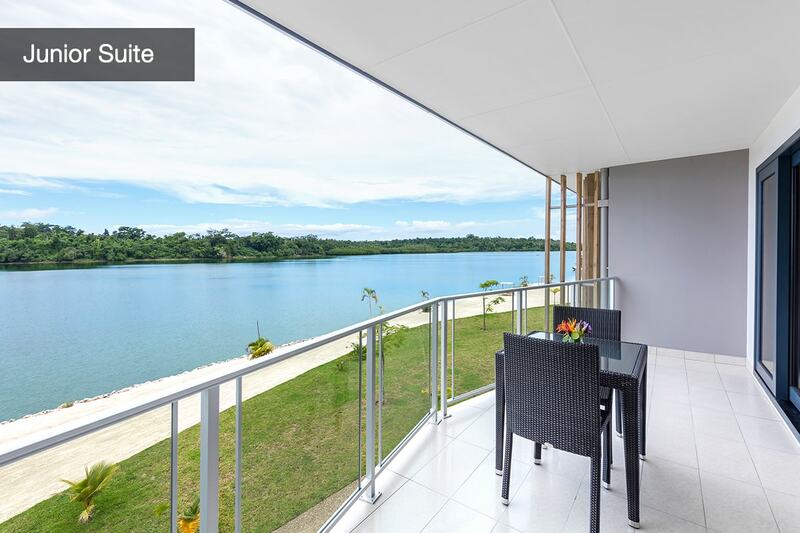 Junior Suite: Spacious apartments with panoramic views from the large balcony overlooking Erakor lagoon. 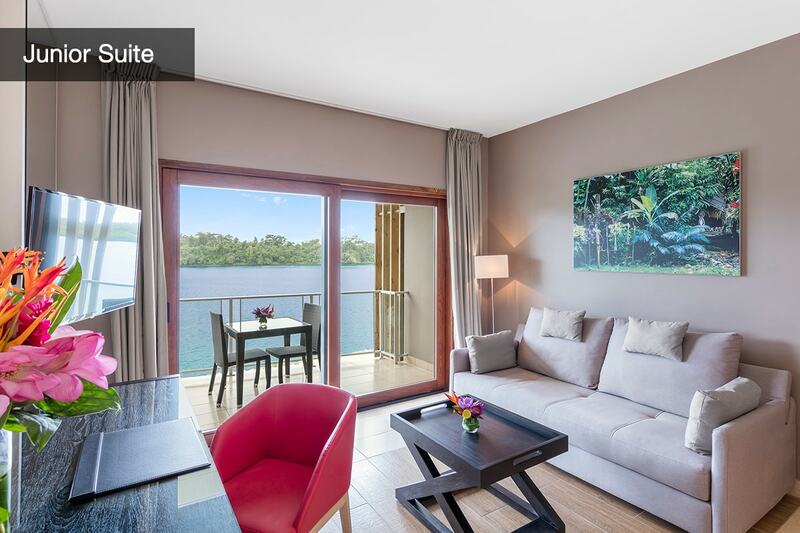 Featuring a lounge area separated from the bedroom by drapes, pull out sofa bed, fully equipped kitchen, air-conditioning, superb Wi-Fi access, large screen Satellite TV and everything you’ll need to relax and enjoy Vanuatu. Interconnecting rooms are available. Junior Suite – 2 adults & up to 4 children 11 years of age and under in existing bedding in 2 x interconnecting rooms. Child Policy: a child is considered 11 years of age and under. 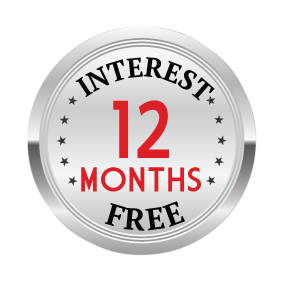 Up to 4 children 11 years of age and under can stay in 2 x Junior Suite only, using the existing bedding. 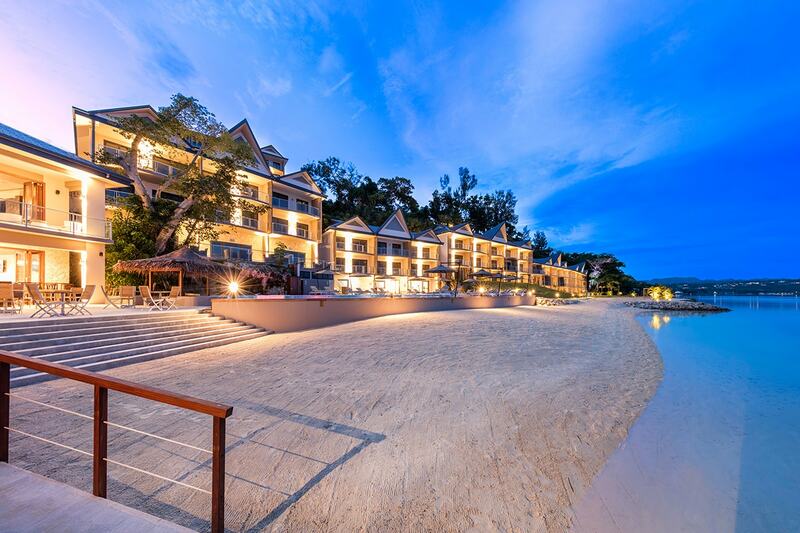 Extra Person Charge: children 12 years of age and over will be charged VT 5,000 (approx AUD$65) per night including breakfast daily and return airport transfers. Payable direct to the resort upon arrival. Wi-Fi: complimentary Wi-Fi up to 500mb per room per day. Additional data can be purchased from reception. If your travel date is greater than 45 days from purchase, a final invoice will be emailed to you prior to 45 days. If payment is not received by 45 days prior to your travel date, you booking will be cancelled and the deposit will remain non-refundable. No black out dates, travel until March 2018!